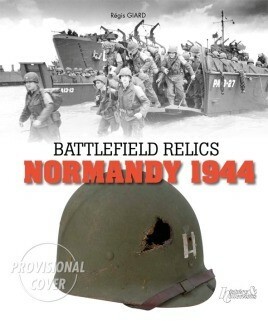 Through their photographic representation, the stories they tell and their actual historical significance, the battlefield relics shown here cast a different light on D-Day and the Battle for Normandy, and extoll the enthusiasm and worthiness of the collectors who preserved them. Through their photographic representation, the stories they tell and their actual historical significance, the battlefield relics shown here cast a different light on D-Day and the Battle for Normandy, and extoll the enthusiasm and worthiness of the collectors who preserved them. This important heritage, discovered on the battlefields of a hundred day struggle that spans from June 6, 1944 to the liberation of Paris, the capture of le Havre and the battle for Brest, features many surprising and unexpected artifacts, expressing the sacrifice of civilian victims or the happier times of a long awatied liberation.